VIDEO: Celebrate Betty White’s Birthday With Her Greatest Career Moments! From 50's TV actress, to modern icon, we salute Betty White's years on the screen and beyond. 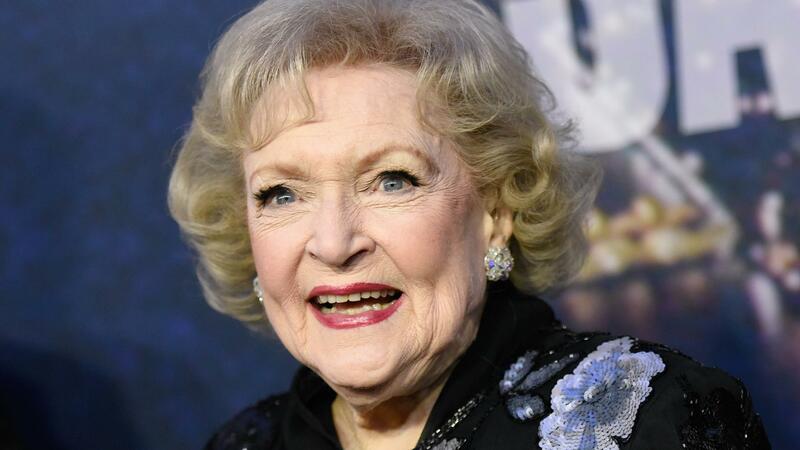 Yesterday saw the momentous occasion of television legend and internet beloved celebrity Betty White’s 97th birthday. The superstar actress has had a career that for almost a century has showed no sign of slowing down, and we here at What’s Trending thought we’d go through some of the hilights of her incredible career in the world of media. In 1983, Betty became the first woman to win a Daytime Emmy Award in the category of Outstanding Game Show Host for her show “Just Men!” “The First Lady of Television” was also once known as “The First Lady of Game Shows.”, and in 1985, Betty started playing Rose Nylund on “Golden Girls” — To this day, this is the biggest role in her career. In 1986, she won an Emmy for “Golden Girls.”, and thereafter was nominated for an Emmy every year “Golden Girls” was on air. In 2010, Betty went viral after she appeared in Snicker’s Super Bowl commercial. After the commercial’s success, along with general internet based memeable mobility, a Facebook campaign called “Betty White to Host SNL (Please)” was created, and thus, at the age of 88, Betty became the oldest person to host SNL. In 2010, she was honored with the Lifetime Achievement Award at the Screen Actors Guild Awards, and starred in “Hot in Cleveland” from 2010-2014. In 2015, she received the Favorite TV Icon honor at the People’s Choice Award, and in 2018, she appeared on stage at the 70th Emmy Awards when they celebrated her career. At 97, shockingly, Betty White has become a household name, known both as an ironic reference, and a star in the truest sense, with her presence bringing joy to millions of movie and TV viewers. What’s your favorite Betty White memory? Let us know in the comments or on Twitter at @WhatsTrending.